The collision happened in San Bernardino County. Four people are missing and nine people are injured, two critically, after two private boats collided on the Colorado River in southeast California on Saturday night. Sixteen people in total were involved in the crash. Two people were airlifted to University Medical Center of Southern Nevada with life-threatening injuries, the Mohave County Sheriff said in a press conference on Sunday evening. Water and shoreline searches continue in addition to dive operations, with a search area an estimated 2 miles in circumference. The sheriff's office added that no one on either boat was wearing a life jacket. 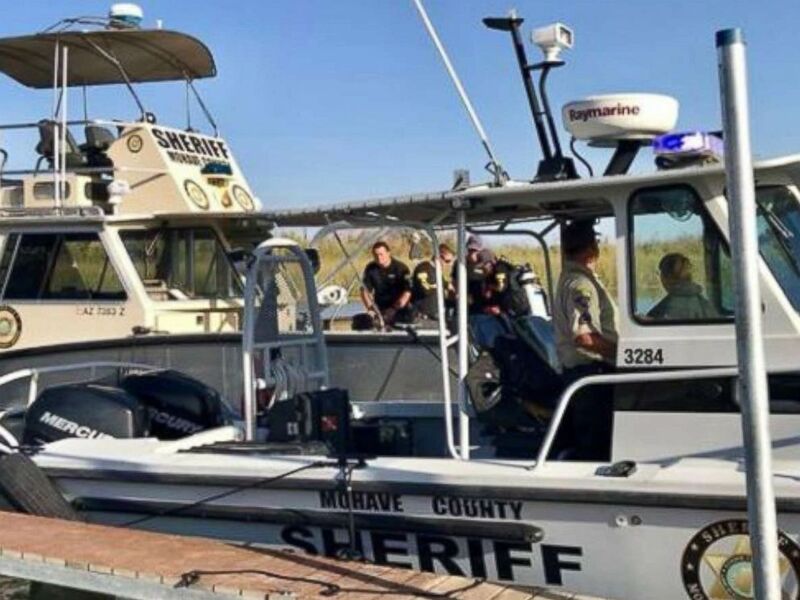 (Mohave County Sheriff's Office) Units from the Mohave County Sheriff's Office Division of Boating Safety photographed on Sept. 2, 2018, the day after a boating crash on the Colorado River. 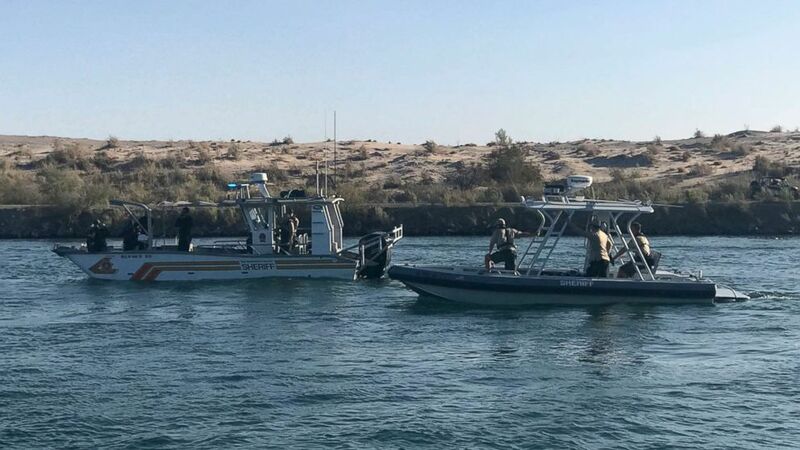 The two vessels collided head on at about 8 p.m. local time between Pirate Cove and the Topock Marina, north of Lake Havasu near the Moabi Regional Park, a recreational area on the Colorado River which forms the boundary between California and Arizona. The southern tip of Nevada is about 30 miles north of the park. During the collision, everyone from both boats was thrown into the water, and both boats sank. Several people were pulled from the water by other passing boaters. (San Bernardino County Sheriff) Law enforcement responds to a boating crash on the Colorado River, Sept. 2, 2018. Two vessels collided the night before. Officials called off the search for missing survivors around 9 p.m. last night. Dive and search operations in the area of the crash are being conducted by the Mohave County Sheriff's Office with the assistance of the San Bernardino County Sheriff's Department. The accident happened after sunset, making rescue efforts difficult, authorities said. Some people were found as much as a mile down river due to the rapidly moving water. Officials are unsure if alcohol was involved, or the ages or genders of those who were injured.